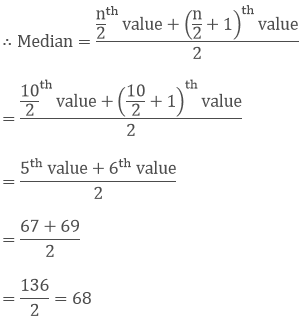 Numbers 50, 42, 35, 2x + 10, 2x – 8, 12, 11, 8 are written in descending order and their median is 25, find x. 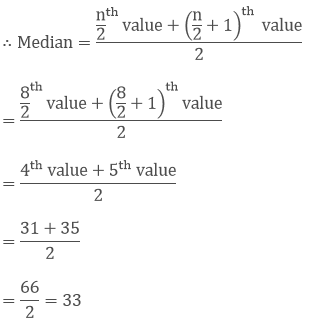 Find the median of the following data: 41, 43, 127, 99, 61, 92, 71, 58, 57. 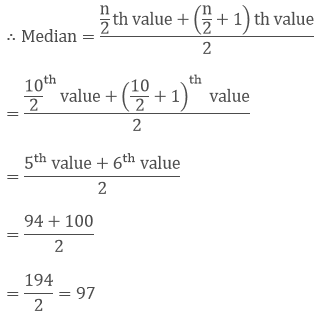 If 58 is replaced by 85, what will be the new median? The weights (in kg) of 15 students are: 31, 35, 27, 29, 32, 43, 37, 41, 34, 28, 36, 44, 45, 42, 30. 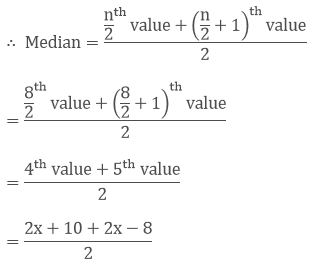 Find the median. 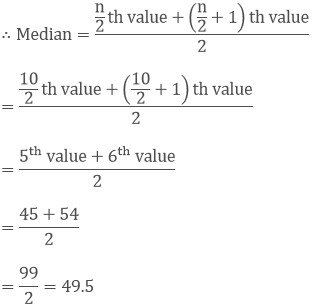 If the weight 44 kg is replaced by 46 kg and 27 kg by 25 kg, find the new median. 27, 28, 29, 30, 31, 32, 34, 35, 36, 37, 41, 42, 43, 44, 45. 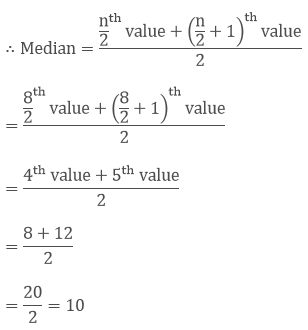 The following observation s have been arranged in ascending order. 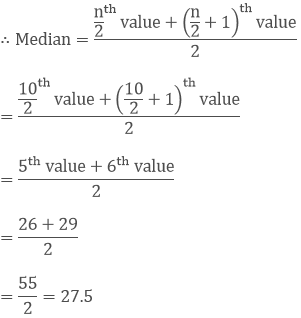 If the median of the data is 63, find the value of x: 29, 32, 48, 50, x, x + 2, 72, 78, 84, 95.